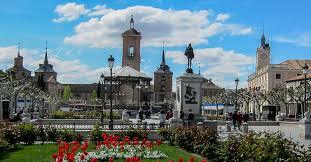 The City of Alcalá de Henares is in the Autonomous Region of Madrid, 30 km from Madrid on the Madrid-Barcelona motorway and 20 km from Madrid’s international Adolfo Suarez-Barajas Airport. At present it has a population of over200,000. Important archaeological remains have been found in Alcalá de Henares and stand as testimony to the presence in the city of different peoples and cultures. The first town on the site was the ancient Celtiberan settlement of Kom lkesancom Buto. 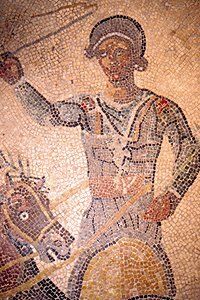 The Romans called it Complutum, the origin of the name given to those born in the city, complutenses. When the Arabs invaded Alcalá, the old city was gradually abandoned and became a fortress known as Al Qal’at Wadi-I-Hiyara, which is the origin of its name today. Once reconquered by the Christians in 1118, the city became the seat and residence of the Archbishops of Toledo, who built its defensive walls and oversaw its growth. King Alfonso VII de Castilla gave Alcalá and its land to the Archbishops of Toledo, who built an important castle which would later become the Palacio Arzobispal, where monarchs and nobles resided. An emperor and a queen were born in the palace, and it was also the scene for the first interview between Christopher Columbus and the Catholic Kings, Fernando and Isabel. 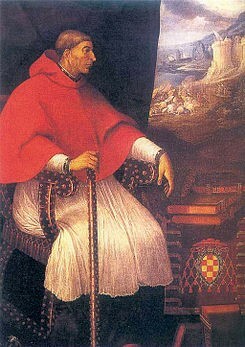 In 1499, Cardinal Cisneros founded a university in the town, which would soon become one of the main centres of European Renaissance culture. As building work intensified under the impulse of the Counter-Reformation, the city was transformed into a unique cultural model which would serve as a model for Spanish town-planning in the Modern Age. During the seventeenth and eighteenth centuries, the city underwent a progressive decline which meant the University’s relocation to Madrid. 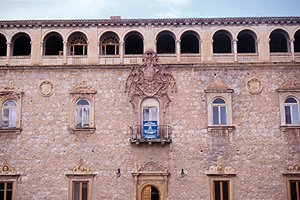 It was not until 1977 that the University of Alcalá as we know it today came into being, in the process recovering and restoring the old college buildings so that they might once again perform their original function of centres for teaching and research. In 1998, UNESCO declared the University and the historic precinct of Alcalá de Henares a World Heritage Site in recognition of their being the best and most fully developed model of Renaissance town-planning, education and culture. 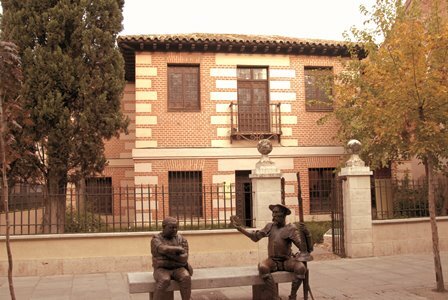 Alcalá de Henares is also the birthplace of one of Spanish literature’s greatest writers. Miguel de Cervantes was born in the city in 1547. He is universally renowned for his novel El Ingenioso Hidalgo Don Quijote de la Mancha (The Ingenious Gentleman Don Quixote of La Mancha), considered by many to be the first modern novel and one of the great works of literature. The Cervantes Institute was created in his honour as a public institution designed to promote and teach the Spanish language and to disseminate Spanish and Latin American culture. 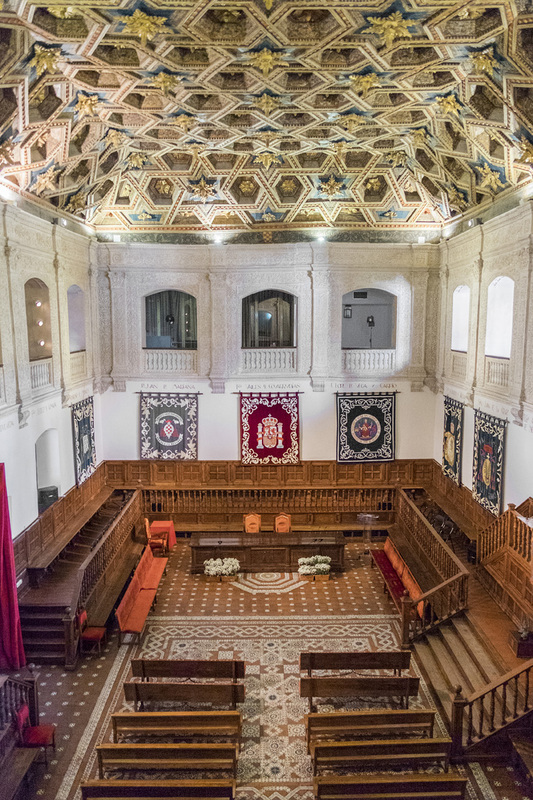 The link between the city and the Spanish language became even closer with the establishment in 1976 of the Cervantes Prize for Spanish Literature which is awarded annually in the Paraninfo or Great Hall of the University. 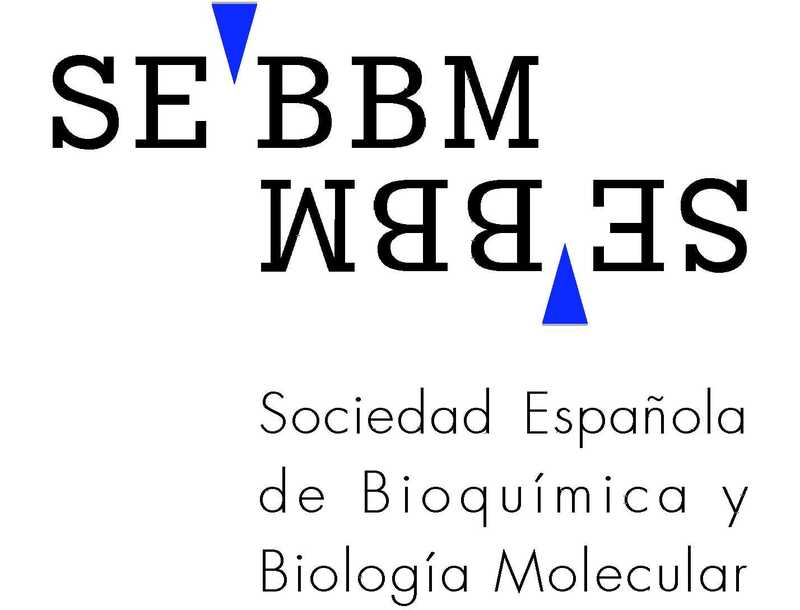 This prize is the most important award for creative writing in the Spanish language. 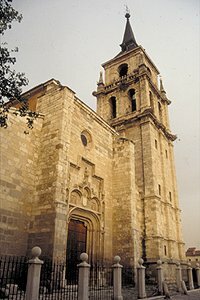 Among the city’s monuments, particularly worth a visit are the Colegio Mayor de San Ildefonso, also known as the “Old University”, the Cathedral, the Palacio Arzobispal, the Miguel de Cervantes Birthplace Museum, the Calle Mayor, Plaza de Cervantes and the ruins of the ancient Roman city of Complutum. All that, together with a wide range of hotels, eateries and leisure activities has made the city an emerging tourist destination, well positioned in the Spanish context of cultural tourism and congresses. Foun ded by Cardinal Cisneros in 1499, the original foundation included a "Colegio Mayor", or main residential college, with a number of other satellite "Colegios Menores". 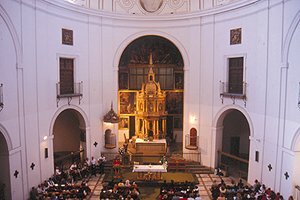 The institution was transferred to Madrid in 1836 and returned to Alcalá de Henares in 1977. 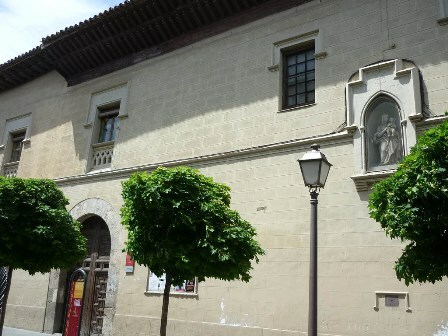 The main façade, in the Plateresque style, dates back to 1553 and is the work of Gil de Hontañón. 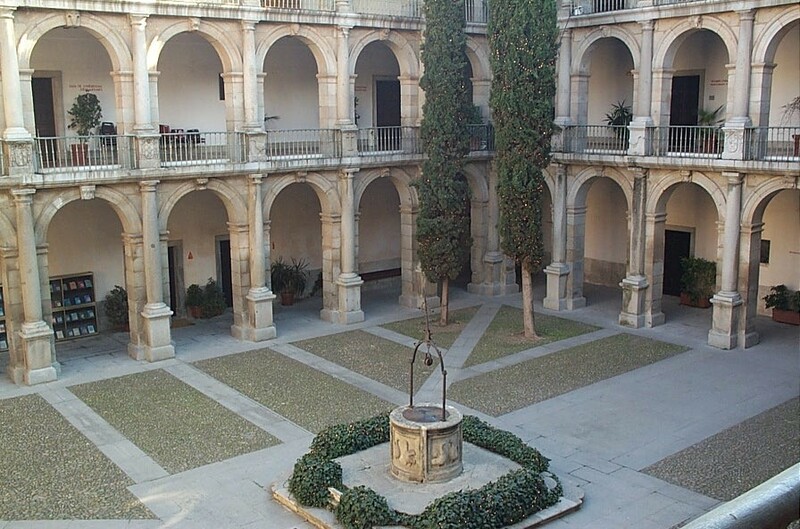 The building houses several courtyards or quadrangles, the most notable being the "Patio de Santo Tomás de Villanueva" (Courtyard of St Thomas of Villanueva), in the Herrerian style, and the "Patio Trilingüe" (Trilingual Courtyard), where Latin, Greek and Hebrew were taught. 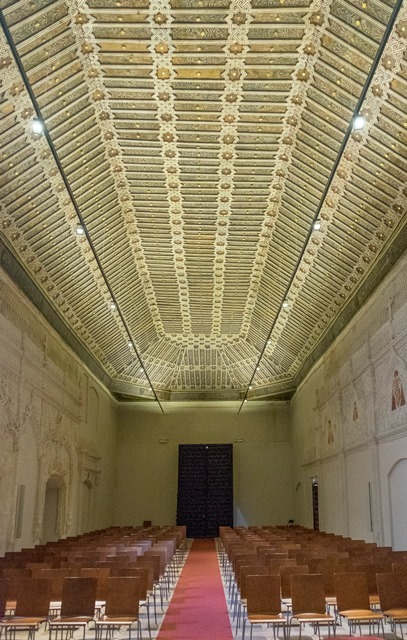 The "Paraninfo", located in the old University's Main Hall, was built around 1520 and has an impressive Mudejar coffered ceiling and walls adorned with Plateresque plasterwork. San Ildefonso's Chapel, the oldest building in the original University complex, is very similar to the Paraninfo in its decoration. Most striking are its Mudejar covered ceiling and its Gothic and Plateresque plastered walls. It was built in the 16th century to house the tomb of Cardinal Cisneros. The tomb was sculpted in Carrara marble by Domenico Fancelli and Bartolomé Ordóñez. The newly restored Chapel has been reopened recently. Orders were given for it to be built by Cardinal Cisneros at the end of the 15th century, at the place where, according to tradition, the Holy Children, Justo and Pastor, were martyred. This late Gothic building consists of three naves with groined vaulting, lancet arches and an ambulatory. The Magisterial Church is, together with St Peter's of Louvain (Belgium), one of only two churches in the world to boast the title, which the Pope grants to churches with university professors among their canons. The bell tower dominates the Cathedral's exterior. Built by the bishops of Toledo as a fortress during the 14th and 15th centuries, it was turned into a palace by bishops Fonseca and Talavera in the 16th century. The main façade dates back to this time. At the end of the 19th century it was thoroughly renovated by Manuel Laredo, who was inspired by the neo-Gothic and neo-Mudejar styles. 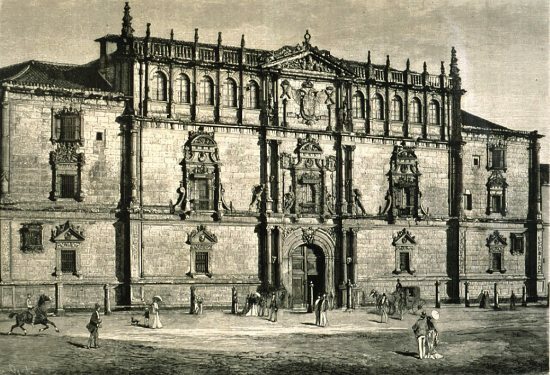 Founded in 1618 by Cardinal Bernardo de Sandoval for the nuns of the Cistercian Order, this is one of the nine enclosed convents that still remain in Alcalá de Henares. The austere main façade of brick is only relieved by its three stone doorways. The chapel's elliptical floor-plan is covered by a great oval dome and opens onto six side chapels. Instead of the more usual altarpiece, the church has a rather curious "four face canopy", which allows four masses to be celebrated at the same time. 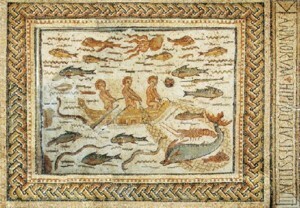 In the eastern part of Alcalá, the remains of Roman "Complutum" can be found, including a forum with a basilica and hot baths, as well as numerous villas in the surrounding areas. An example of the 16th century Castilian housing, it witnessed the birth and early childhood of Miguel de Cervantes. The house is built around a courtyard with a two-floor portico. The lower floor was devoted to the family´s daily life, while the private rooms and bedrooms are to found on the upper floor. The oldest working medical institution in Spain, it was founded in 1483 by Luis de Antezana and his wife, Isabel de Guzmán, in order to give free medical attention to people of humble origin. This work is still being carried on today. The building is a typical two-storey Castilian house with a courtyard and a balcony supported by pillars on the top floor. It still retains an impressive collection of rooms with carved ceilings and their original structures dating from the 15th and 16th centuries. The Mudejar gables are a key element in the building's neo-Gothic façade. The main square of Alcalá de Henares dates from before the 13th century when it held a weekly market as well as important civic events. The bronze monument to Miguel de Cervantes at the centre gives the square its name. The bandstand and the Santa Maria Tower are two other monuments of interest. Surrounded by countless shops, restaurants and bars, this square is the hub of the city' social life, and also political since it is the site of the Town Hall.